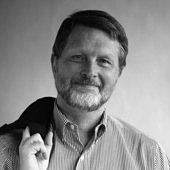 David Rumsey is President of Cartography Associates, a digital publishing company based in San Francisco, and is Chairman of Luna Imaging, a provider of enterprise software for online image collections. He was a founding member of Yale Research Associates in the Arts, also known as PULSA, a group of artists working with electronic technologies. Rumsey began building a collection of North and South American historical maps and related cartographic materials in 1980. His collection, with more than 150,000 maps, is one of the largest private map collections in the United States. In 1995, Rumsey began the task of making his collection public by building the online David Rumsey Historical Map Collection, www.davidrumsey.com. Currently the online web site has over 30,000 high resolution images of maps from his collection. The site is free to the public and is updated monthly. Recently, Rumsey has been creating historical map projects both in Google Earth, Google Maps and the virtual world of Second Life. The maps you see today are from the David Rumsey Map Collection and are from Frances A. Henshaw's Book of Penmanship Executed at the Middlebury Female Academy April 29, 1828. She drew geographical diagrams for each of her hand-drawn maps in her book.